Get your instrument dialed in and playing its best. We perform a wide variety of maintenance and repairs at our store, from restrings to rewires! -Restring: $20, plus strings. Includes a light cleaning, fret board conditioning, tuning (obviously! ), and when needed a truss rod adjustment. -Set-Up: $40, plus parts when needed. Basic set-ups includes string height adjustment, intonation, and pick-up balancing. We also suggest having your guitar set-up done on a new set of strings, just so everything will be at it's best potential. There are other elements to getting your guitar working smoothly, some guitars need more love than others. If your guitar has more severe symptoms, we'll have to look it over to know more. Strat Blender wiring with a kill switch! Featuring an Orange Drop capacitor. Beyond guitar setups, we also offer custom wiring and mods to get your tone just how you want it. If there's something you need that your guitar doesn't quite capture, we are experienced custom hand-wiring and are dealers of many great pick-up manufacturers including Lindy Fralin, Seymour Duncan, TV Jones, Dimarzio, EMG, and Lace. We also deal in acoustic electronics by LR Baggs and Fishman. Most of our amp work is done out of the shop by our tech, Dan Butler. He has been fixing and building amps for most of his life and really understands what makes great tone. 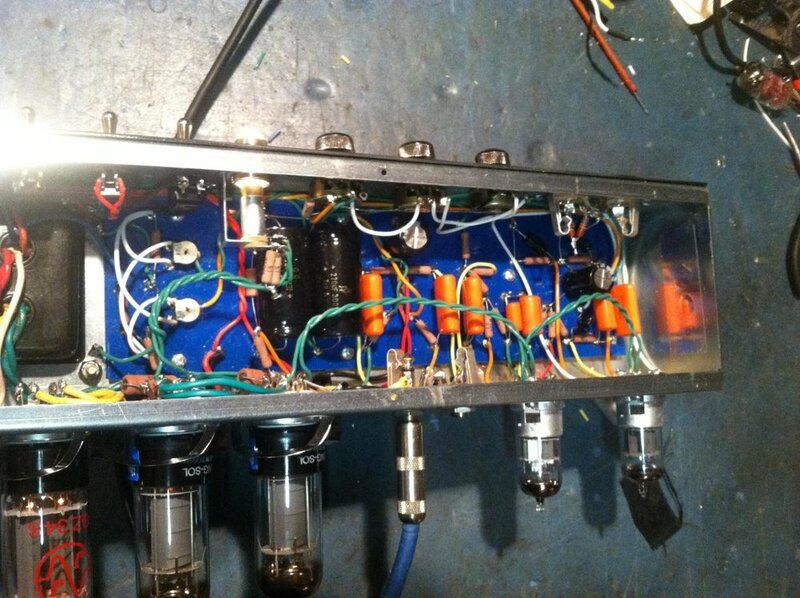 Some of Dan’s gorgeous handiwork, in an amp he designed himself nonetheless!